As a blogger you probably do a lot of reading online to research trends and follow your industry. 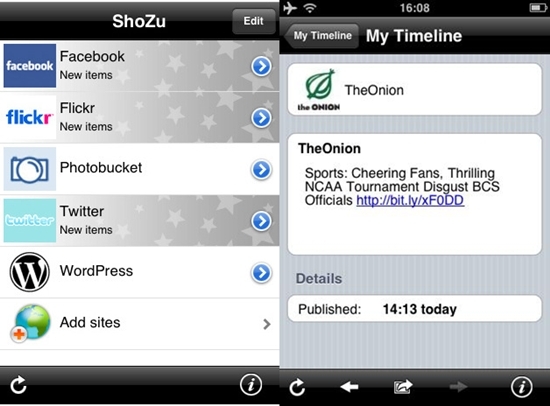 Byline is an app that will bring you all your Google Reader RSS feeds straight to your iPhone. You can view all your news feeds, star items, mark items you’ve read, share articles via email, and integrate with Twitter, Instapaper and Read It Later. It also stores cached versions of your feed so you can read offline. If you use your own photos on your blog, this is a great app to have. 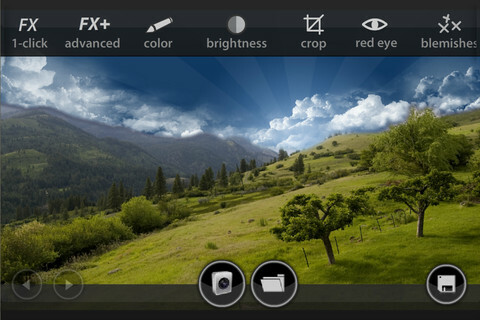 You can quickly and easily edit any photo you wish with this intuitive editor. You can crop photos, resize them, rotate them, and remove red eye and blemishes. You can also adjust saturation, contrast, sharpness, and all the colors. There are lots of different effects you can add to your photo, such as sepia and black and white, and all effects can be layered. This app costs $2.99, and there is also a lite version available. 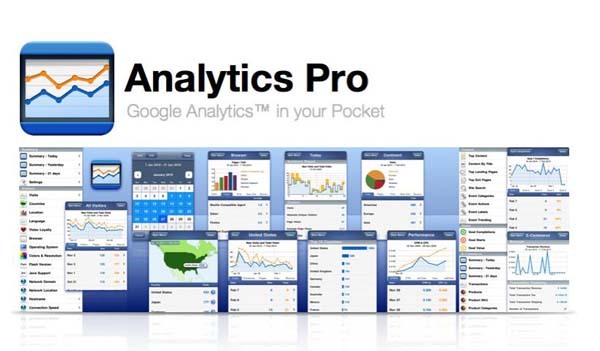 This app will allow you to view all your Google Analytics data while you’re on the go. It costs $5.99, but it’s a great way to view all the statistics related to your blog, and it even interprets them for you into helpful graphs that you can print and export. This app will tell you all the data concerning the visitors to your blog, the sources of your traffic, content, e-commerce, and goals. 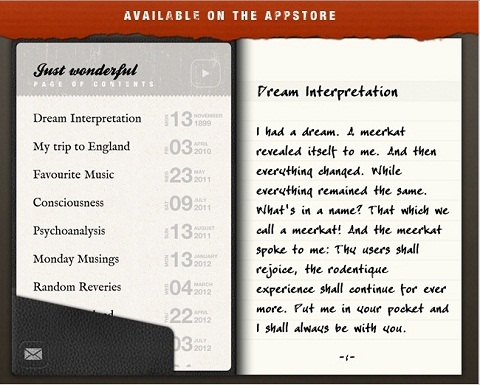 Every blogger needs a note-taking app to record ideas while out and about. This app is one of the best note taking apps available. It allows you to make unlimited notes. You can create categories and tags and even color-code your notes. This app takes a “word processor-like approach to note taking,” so you can easily write entire blog entries if you’d like. It also makes you feel as though you’re hand-writing in a real journal. It syncs with DropBox, and you can email notes. It costs $2.99. Millions of bloggers use WordPress to create their blogs. If you’re one of them, you definitely need to download this free app. It will allow you to update and manage your blog straight from your iPhone. You can use it for blogs hosted by WordPress.com or self-hosted blogs. You can add photos or videos, post entries, and moderate your comments from this app. This is the best Blogger App for iPhone. If you have a ton of social networking profiles to manage, this app will help you do it all in one convenient location. This app will allow you to update your profiles on more than 50 social networking sites, including Facebook, Twitter, YouTube, Flickr, PhotoBucket, and many more. It also works with WordPress, Blogger, and other popular blogging sites. Yu can instantly upload photos and video, change your statuses, and view the updates of all your friends. It costs $0.99. 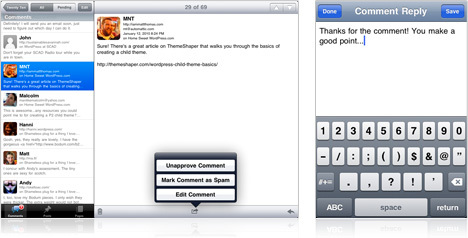 One of the best iphone apps for bloggers. So guys, If you are a blogger and you have iPhone then give it a try to above all iPhone apps, and if you know more iphone apps for bloggers then you can share with us via comments below.